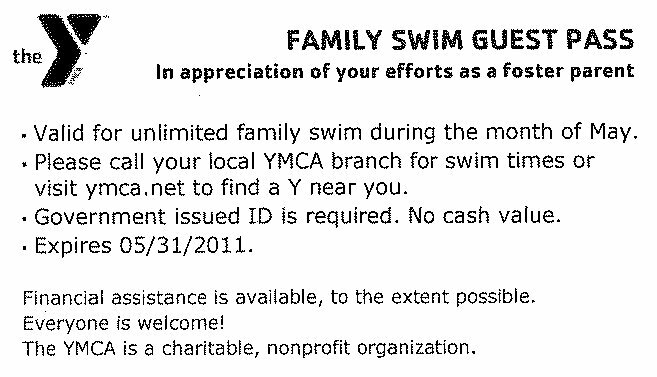 YMCA Family Swim Passes Attached for the Month of May! On the back, please have an adult put his/her name and address. Photo ID will be required. You only need one pass per family – not one for each of those who want to swim. This is for foster homes or relative/kinship care.